Pleasure House Point, a 122-acre waterfront parcel at Chesapeake Bay in Virginia Beach had been eyed by residents, conservationists, real estate developers, and local officials for years. With a mile of frontage on Pleasure House Creek and the Lynnhaven River, it had been slated for a 1,000+ unit housing development until the downturn in the real estate market placed the land under the control of Wells Fargo Bank. Approached by several potential buyers, Wells Fargo knew the property was valuable. However, they also knew The Trust for Public Land's record of success and saw an opportunity to sell the property at a substantial discount and create a win-win solution-both for the bank's shareholders, and for people who live in Virginia Beach. 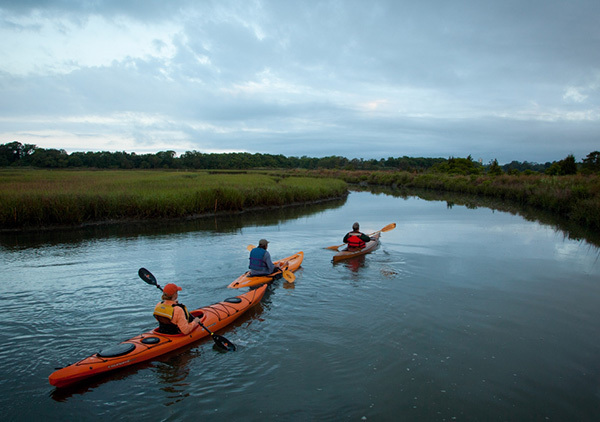 In July 2012, we completed the conservation of Pleasure House Point, adding 118 acres to Virginia Beach's natural recreation areas and laying the groundwork for the city's plans to improve water quality in the Lynnhaven watershed.